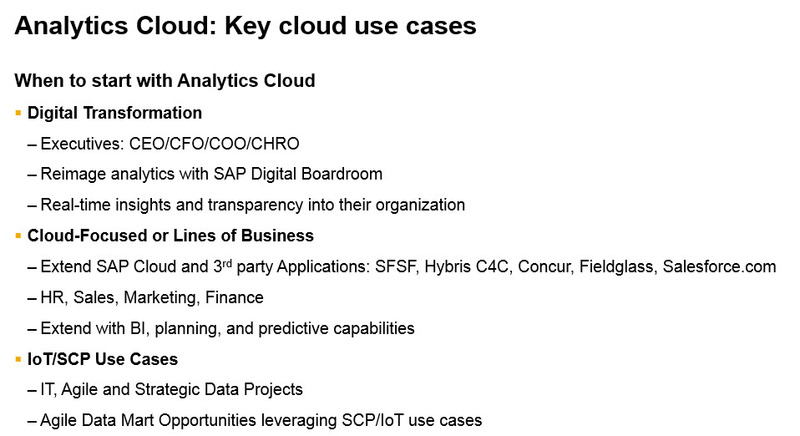 This was an ASUG webcast from earlier this year. 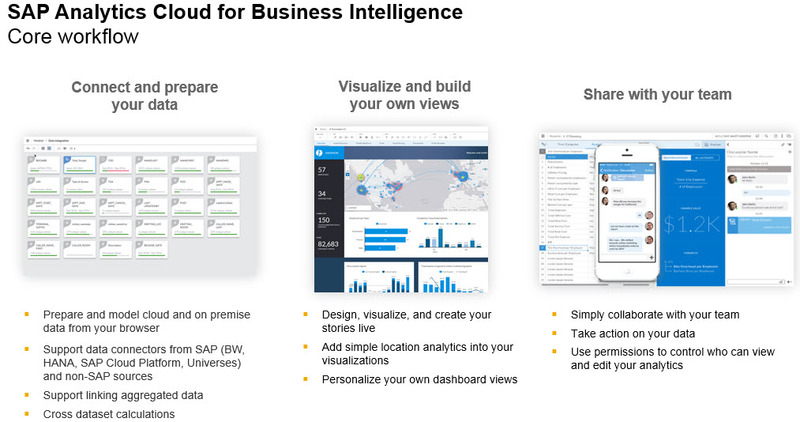 Be sure to register for tomorrow’s related webcast Cross-Solution Analytics with SAP Analytics Cloud and upcoming webcasts. Tell us what you would like most to hear in this survey. 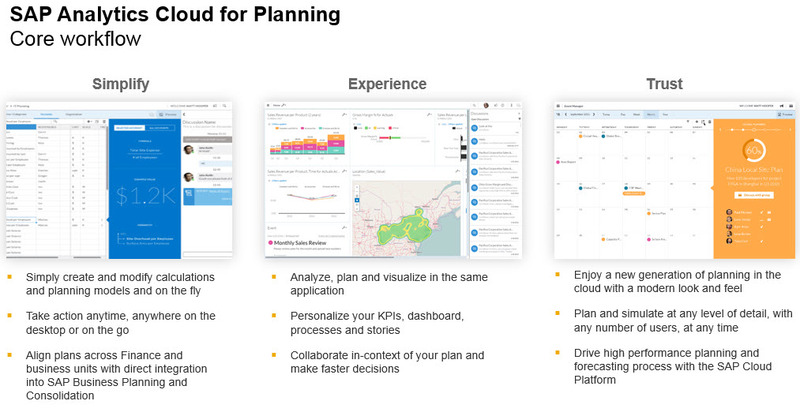 How do I know which is the right solution or path to get to the cloud? 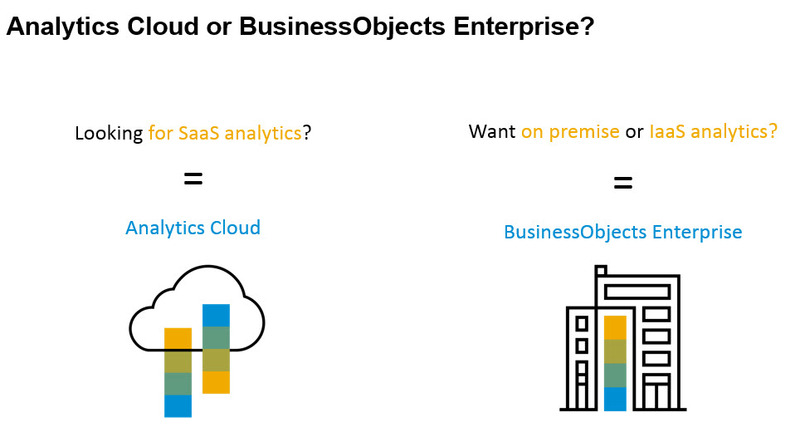 Here are some hybrid scenarios of using SAP Analytics Cloud (SAC) and BOE together. Customers who want to look at moving to the Cloud for specific use cases (Digital Transformation, Cloud application integration, IoT/SCP) but keep using BOE for Enterprise BI use cases against on premise data. 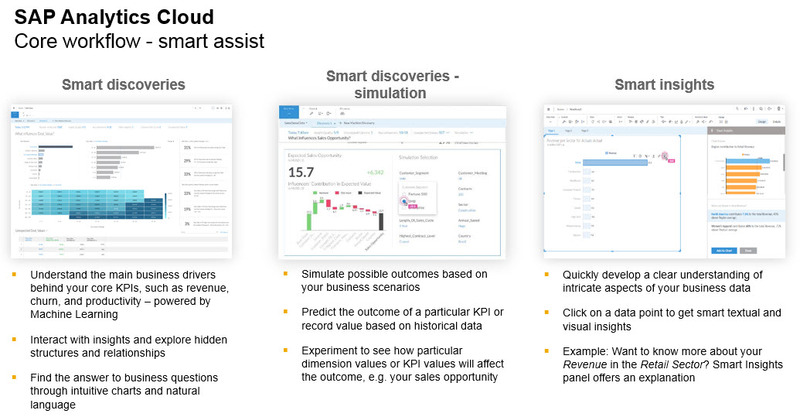 Scenario 1 – This customer has invested into our SAP cloud solutions (SFSF and Ariba) and Salesforce.com so SAC BI should be positioned as a self service, visualization solution that can mashup their data from their different cloud applications and provide a 360 degree view of these cloud applications. 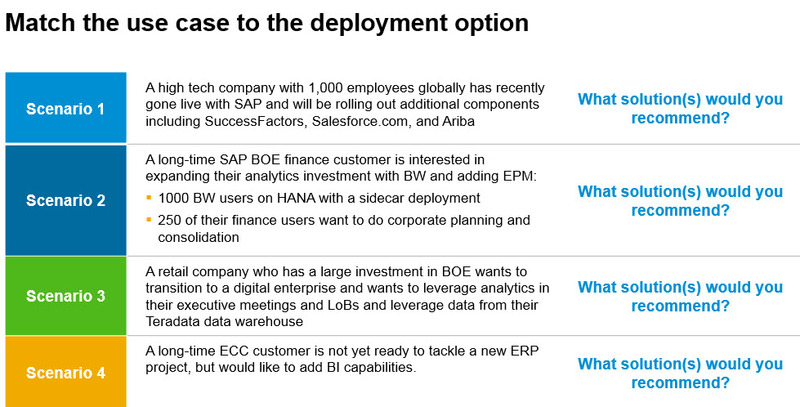 Scenario 2 – While this could be a hybrid strategy, first ask about how they want to leverage their BOE on premise deployment first with their BW investment. As they are a financial customer, they may be nervous about moving sensitive data to the cloud. Secondly, 250 Finance users want corporate planning and consolidation, so would recommend BPC. SAC Planning does not support consolidation but could be used for departmental planning. 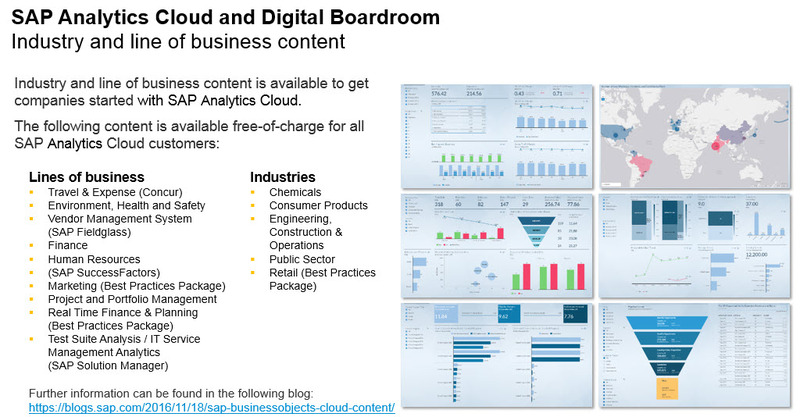 This is really an on premise strategy first, but for positioning SAC/DBR, you should ask if they have SAP Cloud solutions or a Cloud first strategy, and see if they have interest in a digital transformation strategy with Digital Boardroom. SAC can connect to their BW on HANA database directly and keep that data inside their firewall. Scenario 3 – This is a Hybrid scenario as they have a big investment in BOE and Universes and want to leverage their on premise Teradata data warehouse. The key words that stick out are transition to digital enterprise which means positioning Digital Boardroom and the SAC platform for their executives and LoBs. SAC can connect to their BOE Universes that connect to their Teradata data warehouse and those KPIs can be consumed in the Digital Boardroom.